Our purple Hummer Has taken over as our most popular Hummer. The last two quarters have been analysed and whereas previoulsy it was White, pink, purple it is now the purple Hummer that leads the way. The reason for this, we believe, is as it becomes more well known people are specifically requesting the Hummer above the others. We are pleased with the result and it shows the people of Perth are not boring when it comes to their Hummer limo colours. We are currently working on a new colour and doing some research into it at the moment. We have market tested the colour on www.facebook.com and overwhelmingly the support came fo rthe new colour. 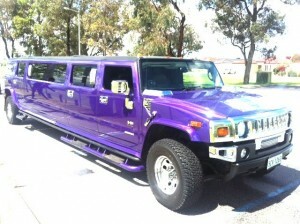 The Purple Hummer has all the toys inside with PS3, karaoke, 4 LCD screens, smoke machine, lasers etc etc. 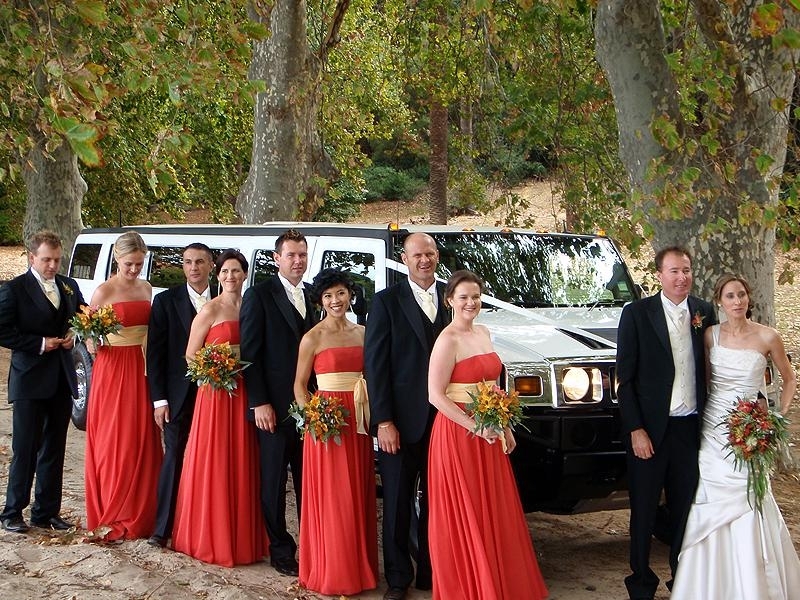 You can book this Hummer via our website at the moment . Hummers are currently available in perth in the following colours Pink, white, purple, black, red, silver and grey. Going to Black Sabbath Concert? Hummers available! One of the greatest rock bands in music history are coming to Perth Arena on 4th May. Mixing huge volume with Ozzy Osbourne’s keening, ominous pronouncements of gloom and doom, Black Sabbath were the heavy-metal kings of the 1970s. Often reviled by mainstream rock critics and ignored by radio programmers, the group still managed to sell over 8 million albums before Osbourne departed for a solo career in 1979. The four original members, schoolmates from al Birmingham, England, first joined forces as the Polka Tulk Blues Company. They quickly changed their name to Earth, then, in 1968, to Black Sabbath; the name came from the title of a song written by bassist Geezer Butler, a fan of occult novelist Dennis Wheatley. It may also have been an homage to a Boris Karloff film. The quartet’s eponymous 1970 debut, recorded in two days, went to Number Eight in England and Number 23 in the U.S. A single, “Paranoid,” released in advance of the album of the same name, reached Number Four in the U.K. later that year; it was the group’s only Top Twenty hit. The single didn’t make the U.S. Top Forty, but Paranoid, issued in early 1971, sold four million copies with virtually no radio airplay. Beginning in December 1970 Sabbath toured the States relentlessly. Despite the band members’ intense drug and alcohol abuse, the constant road work paid off, and by 1974 Black Sabbath was considered peerless among heavy-metal acts, its first five LPs all having sold at least a million copies apiece in America alone. In spite of their name, the crosses erected onstage, and songs dealing with apocalypse, death, and destruction, the band members insisted their interest in the black arts was nothing more than innocuous curiosity, and in time, Black Sabbath’s princes-of-darkness image faded. Eventually, so did its record sales. Aside from a platinum best-of, We Sold Our Soul for Rock ‘n’ Roll (1976), not one of three LPs from 1975 to 1978 went gold. Osbourne, reeling from drug use and excessive drinking, quit the band briefly in late 1977 (ex–Savoy Brown and Fleetwood Mac vocalist Dave Walker filled his shoes for some live dates). In January 1979 he was fired. Ronnie James Dio, formerly of Ritchie Blackmore’s Rainbow, replaced Osbourne. Although Dio could belt with the best of them, Sabbath would never be the same. Its first album with Dio, Heaven and Hell (1980), went platinum; its second, Mob Rules (1981), gold. But thereafter, the group’s LPs sold fewer and fewer copies, as Black Sabbath went through one personnel change after another. Ill health forced Bill Ward out of the band in 1980; Carmine Appice’s brother Vinnie took his place. Friction between Iommi and Dio led the singer to quit angrily in 1982; he took Appice with him to start his own band, Dio. Vocalists over the years have included Dave Donato, Deep Purple singer Ian Gillan, another ex-member of Deep Purple Glenn Hughes, Tony Martin, and Dio again. By 1986’s Seventh Star, only Iommi remained from the original lineup. He had to wince when Geezer Butler teamed up with Osbourne, who had since launched a he phenomenally successful solo career, in 1988, though the bassist did return to the fold three years later. Despite bitterness expressed in the press between Osbourne and Iommi, the original foursome reunited in 1985 at the Live Aid concert in Philadelphia, and again in 1992, at the end of what was supposedly Osbourne’s last tour. Throughout 1993 word had it that Osbourne, Iommi, Butler, and Ward would tour, but by year’s end Osbourne had backed out, allegedly over money. But not for long, as Iommi, Butler, and Osbourne reunited to headline 1997’s Ozzfest. Ward was not invited (he was replaced by Faith No More’s Mike Bordin), but he did participate in two shows in the band’s hometown of Birmingham, England, in December 1997. The resulting live album, Reunion (Number 11, 1998), also featured two new studio tracks, including the single “Psycho Man.” The album went platinum in the U.S., and the live version of “Iron Man” earned the band its first Grammy for Best Metal Performance — nearly 30 years after the song was originally released. The ensuing tour lasted two years and ended in December 1999. Tony Iommi released his first solo album in 2000; a prestigious roster of guest singers (Osbourne, Billy Corgan, Henry Rollins, Dave Grohl) handled the vocals. Among metalheads, Iommi is something of a guitar god, due in part to the fact that he plays spectacularly despite having lost the tips of two right fingers in a welding accident at age 17. His hero was the great jazz guitarist Django Reinhardt, who also lost two fingers and yet continued to play. In mid-2001 it was announced that all four original members were writing material for a new Black Sabbath album to be produced by Rick Rubin. The band scrapped all the material and the album never materialized, although Sabbath performed one new song, “Scary Dreams,” on that year’s Ozzfest. The band was put on hold throughout 2002 as Osbourne refocused on his solo music and new MTV reality show, The Osbournes, in which his family was portrayed as a sort of real-life Munsters. The band came back together for the 2004 and 2005 Ozzfest tours. In 2005, Black Sabbath was inducted into the UK Music Hall of Fame, and the following year, after many years of eligibility, the band made it into the US Rock and Roll Hall of Fame. In 2007, Iommi and Butler reunited with Appice and Dio to record new material for the compilation Black Sabbath: The Dio Years (Number 54); that configuration of the group toured as Heaven and Hell (to avoid being confused with the Osbourne-fronted Black Sabbath) into the year 2008. On April 28, 2009, Heaven and Hell released its debut album, The Devil You Know. The concert on 4th May at Perth Arena promises to be one of the musical hi-lights of 2013 in Perth and to celebrate Perth Stretch Hummers are offering a great return package for just $795. That includes an hours cruise to the Perth Arena whilst enjoying some Black Sabbath tunes whilst after the concert no queuing no car parks just step straight aboard your Hummer limo ready to whisk you home. To plan your journey, use the Transperth JourneyPlanner or call the Transperth InfoLine on 13 62 13 (TIS: 13 14 50) Hearing or speech impaired? Call via NRS 133 677 and ask for 13 62 13. The Big Day Out (BDO) will be held at Claremont Showground on Monday 28 January 2013. Public transport is the easiest way to get to and from the Big Day Out. The event is joint ticketed which means your ticket to the BDO includes travel on all Transperth services, for three hours before, during and after the event until end of service. Simply show your ticket to the driver or inspector on your way to the event and your wrist band on the way home. Patrons collecting tickets at the venue are only entitled to travel once they have possession of the ticket. *Post-event travel is subject to last timetabled services. A normal Sunday/Public Holiday timetable will apply, with additional services operating on all lines. Going to the festival, there will be extra capacity on Fremantle Line services and they will stop at Showgrounds Station all day from approximately 9.15am. To Fremantle: Departs Platform 2 at 11.43pm. Mandurah Line: Departing Perth Underground Station at 12.17am. It is important to note that people wanting to use connecting services on the Armadale/Thornlie, Joondalup, Mandurah and Midland lines will need to depart the Showgrounds at least 15-20 minutes prior to all scheduled departures from Perth, as the last services from Showgrounds Station do not connect with services leaving Perth. Passengers are asked to plan their journey by using the Transperth JourneyPlanner. Please note that Transperth buses will operate to a Sunday/Public Holiday timetable. There will be no additional bus services operating on the day, and no additional bus services at suburban stations for connections with the extra train services being provided. Wedding season is upon us once again and this means Hen nights galore in Perth. So what to do is the big question. There are plenty of venues in Perth to enjoy drinks and dancing to the wee small hours and it is great fun if everyone is of a similar age. Perth Stretch Hummers has a solution. The two hour karaoke limo tour. With varying age groups in the Hens party some will not want to go into the clubs and bars of Northbridge, and that is understandable. So the alternative is to have the party in the stretch Hummer limo in either Pink or Purple. We set off on the tour and take in the coast, Fremantle, Kings park and of course the city and Northbridge. All from the safety of the Hummer limo. On the tour you can enjoy byo drinks, the bar is stocked with champagne flutes and ice and water. Plus our on board entertainment including music videos and Karaoke with a bunch of great party songs. Towards the end of the tour you can choose to either get everyone dropped back home or to do a home/city drop for those that “want to go on”. That way everyone gets to go out but those that do not want to do the 3am nightclub bit do not have to. To really get in the mood you can get your hen and bucks night wear from Mi bride and groom. 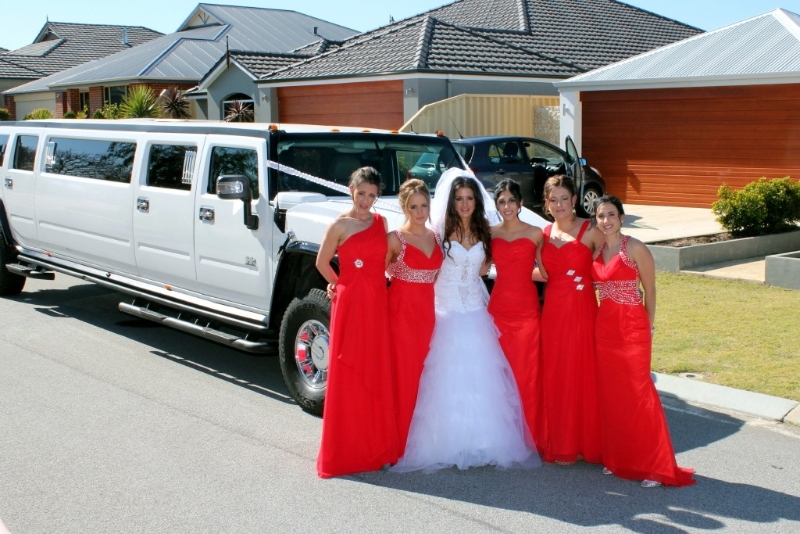 School ball limo hire Perth tips. Remember to have a look around, to find the best quote for your needs. The cheapest is not always the best. Make sure the company has a proper showroom and is not just operating ut of his garage. Research different companies before deciding on which to go for. Check on line reviews to see how other customers bookings have fared. View the vehicle before booking so you know what you will get on the day, and how suitable it will be. 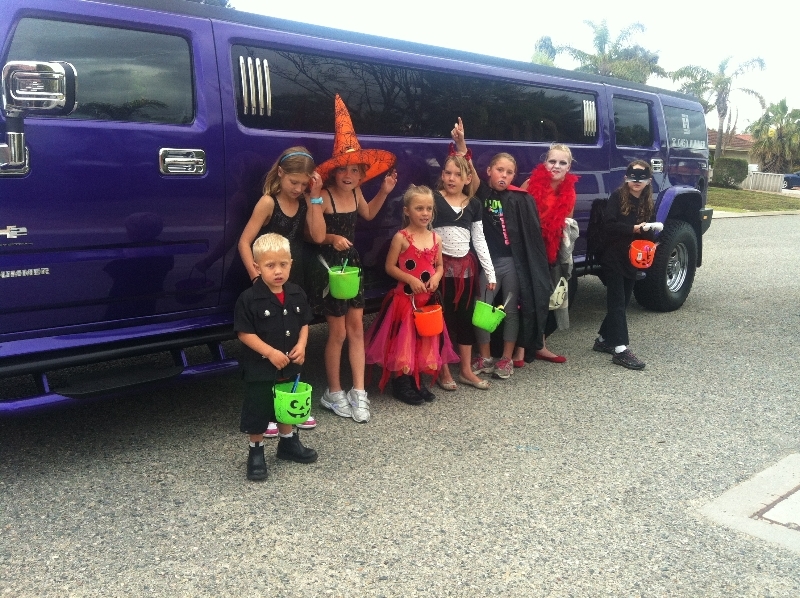 Try and fill the limo you choose to ensure the cost per head is the cheapest. When you come to pay the deposit to secure the limo ensure you collect a contribution from all passengers. When booking, make sure you have the right addresses and times and double check everything on the booking form including the price and terms of conditions. Make sure you ask how much deposit and when the balance needs to be paid by, so that you’re not caught out on the day. If you are sharing the cost of the limo make sure you get the remaining balance from the other passengers well before the date of the prom. Do ont book a company that spends their time slagging off other companies, this is very unprofessional and negative and not really the sort of company you want to be associated with on the happiest of days. 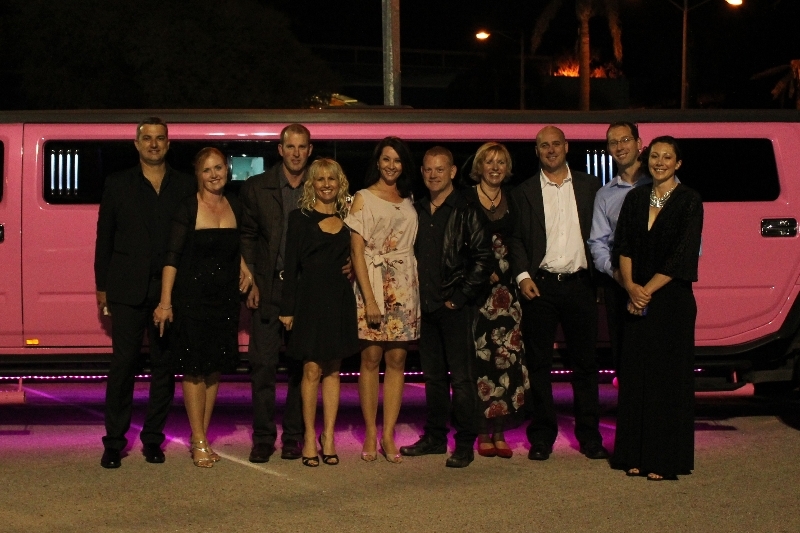 How much does it cost to hire a limo in Perth, is a very popular question we get asked all the time. 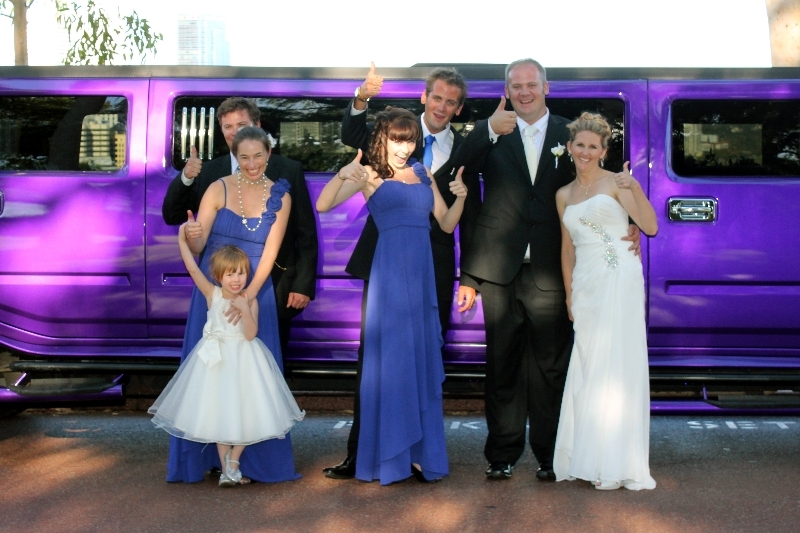 Below is a rough idea on how much it costs to hire the various size limos in Perth Western Australia. 16 Seater Hummer $495-$550 per hour.